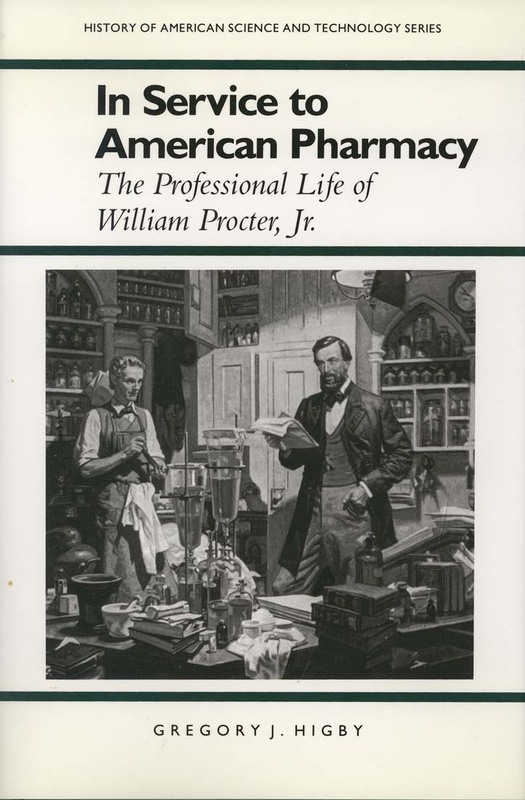 In Service to American Pharmacy: The Professional Life of William Procter, Jr.
Home > AIHP Publications > Books for Sale > In Service to American Pharmacy: The Professional Life of William Procter, Jr. The present position of pharmacist in the structure of health care in the United States evolved during the middle half of the nineteenth century, roughly from the founding of the Philadelphia College of Pharmacy in 1821 to the passage of meaningful pharmaceutical legislation in the 1870s. During that period a small group of men connected with the drug trade championed the concept of a practitioner who raison d’être was the preparation of medicines. This book describes and evaluates the progress of that movement through the contributions of William Procter, Jr., (1817-1874), its predominant figure.